It's Time For Thai joined our Mission to help provide access to “Clean Water for All by 2030”. This Mission was initiated by the United Nations. A big thank you to It's Time For Thai’s team and customers for joining this extremely important mission on 19 March 2018. We’re a family run restaurant serving authentic Thai food to Sydney locals for over 15 years, first opening Tum’s Thai & Taste of Thai in Randwick. 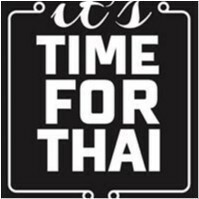 We’ve now opened It’s Time for Thai for our local diners in Kingsford, Haymarket and Newtown. At It’s Time for Thai we serve dishes from Southern and Central Thailand and include Thai Muslim dishes rarely found in Sydney Australia, including Ko Mok Gai (Thai style poached chicken with biriyani style rice) and freshly made Roti (flaky flat bread) that go great with our Penang, Massaman, Red, and Green Curries. We also have a special selection of Thai style dishes with Malaysian, Chinese and Japanese influences.